A water heater is an appliance which is used to heat water above its normal temperature to be used for several purposes. Water heaters are of various types like-normal heaters, water heaters, hot water tanks, boilers, heat exchangers, geysers, etc. It uses a thermodynamic process to heat the water. 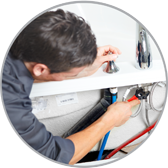 A common home replacement that is regularly carried is water heater replacement. Proper steps should be followed while installing it. When the heater gets old, it starts to consume more electricity and takes more than the required time to heat water. In this way, you lose a lot of money. Not only this, an old appliance consumes a lot of useful energy. Hence it is always recommended to replace an old appliance. 1- Take a volt meter and check that the electrical disconnect is off. Turn off the electricity or gas connected to the heater. 2- Take out all the water present in the tank. This is an important step, and you should drain heater then allow air flow into the system. 3- Now, with the help of a pipe cutter cut the hot and cold lines to the tank. Always place a bucket underneath the tank for any water which overflows. 4- Remove all the wires and try to understand the connections. 5- Now place the new tank in the required position. 6- Make the hot and cold-water connections carefully. 7- Fix the pipes and connectors in place. 8- Now install a brand-new temperature and pressure relief valve so that the system lets off excess heat and pressure automatically. 9- Check all the electrical or gas connections so that they work properly. In a case of a gas connection, a new union should be used. These steps are easy to implement, but still, it would be wise if you hire experienced water heater installation specialists in Phoenix, AZ, plumbers, electricians to do the job for you. Remember every connection is important so there must be no compromise on the safety. Always use new accessories and pipes when installing a new heater.